I was able to participate on the receiving end last year of a great collaborative in Milwaukee, a community event that supports non-profits in the area but is far bigger than that. 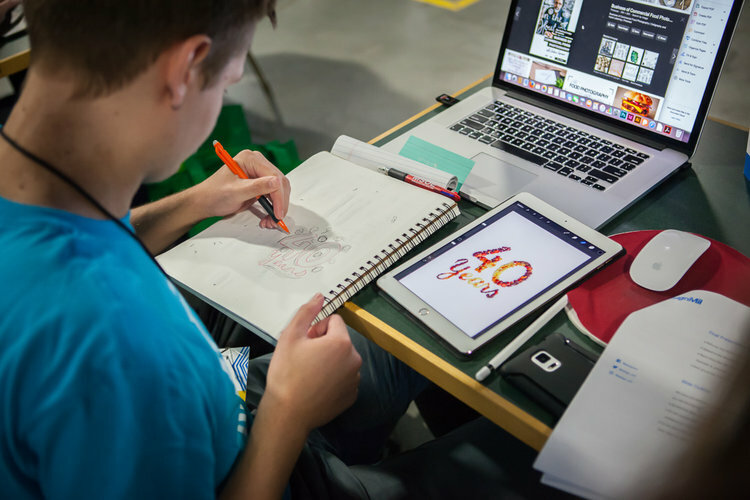 DesignMil is collaborative event that provides free design services to local non-profits. Participation in the event provides many other benefits to the community for both the non-profit and the designers. This year, on October 20, the community will get together to make it better for all. Since it brings dozens of non-profits together, DesignMil is a networking opportunity for them to speak to each other. In seeing the final projects of everyone else's work by the designers it also gives ideas to all of them on things from web to social media to event planning. There might be organizations with similar or cooperative work than can meet and learn how they can work together. For the designers, DesignMil seeks to team up students with professionals so its also a mentoring program. The exposure to the designers to a different way to work, for non-profits and under a tight deadline can be a great learning experience especially for the students. It's a great opportunity for all. If you are a designer or design student, get signed up to help. But especially if you are involved with a local non-profit, of course there is the free design aspect but its also a great opportunity for the entire community if you get involved. So head on over and sign up now.